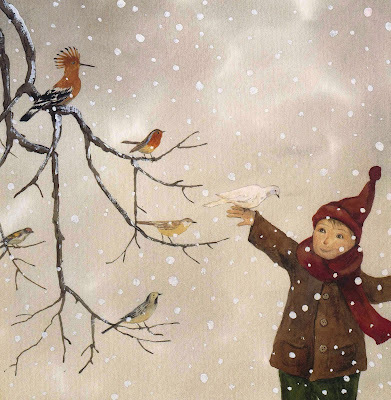 Thanks to everyone entering the giveaway of Kate Westerlund's beautiful Christmas picture book "The Message of the Birds". The winner has been randomly chosen and it is … Gabrielle Smith! Congratulations, Gabrielle! Please get in touch with you snail mail address, so the book can be shipped to you as soon as possible! And for all those, who did not win this time, there is still time to enter Johanna Fritz's giveaway ;-)! Interview with illustrator Johanna Fritz and Giveaway of her "Stuttgart Wimmelbuch"
Johanna, could you tell us a little about yourself? How did you get started in illustration or what made you want to become an illustrator in the first place? 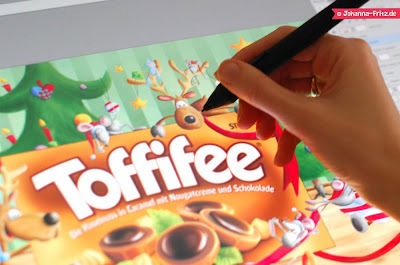 I'm a freelance illustrator since 2006 and live in Stuttgart in southern Germany with my husband and daughter. I've been drawing since I can remember. From 2003-06 I studied communication design in Berlin. And that's when it all started. We had several illustration- and computer software courses. Before that I used my computer to check my emails ;). This totally changed after learning Photoshop and Illustrator. My first drawings were published by a weekly TV-magazine in Germany while I was in my last year of studying. That was quite exciting and a first step in the right direction. Your work does not only brighten picture books but you also have a lot of commissions in other markets. How do you go about promoting your work and get commissioned with these kind of projects? The fun thing is: I have no idea. I mean, for real. Whenever I send some promotion material (and that is really really rare, like… I did that twice during the last four years), I send it to book publishers. All those other market contacts appear out of the blue. They call me or write a short email. I guess they find me via my Website or my Facebook page. The social network is sort of my one and only promotional tool. I try to post something on Facebook and Twitter every day. And if it's just a little sketch or something that is somehow related to my art or just inspiring me. I use Pinterest and instagram too. And my own blog and Website of course. 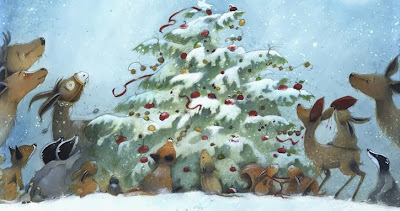 Oh, and it's great to have friends that are illustrators too. Sometimes they just don't have the time to handle all the projects and pass inquires on to you. In return you do the same when you have no more time to spare. That's a nice win win situation. You have a very unique style! Can you tell us how this style evolved and what changes you can observe in your own work looking back to where you started? My illustrations are colorful and I love to draw fun characters. But I think I'm still looking for "the" style. I guess I'll be looking for the one style (if there is something like that) for the rest of my life. When I look back I'm happy to see that there is a huge improvement in my work. Sometimes I'm asking myself "Why did they publish this? It looks so horrible!" :) But I'm happy that they did and that there actually is an (ongoing) improvement. When I started, I illustrated with acrylic and watercolor. And frankly, I wasn't really good at it. 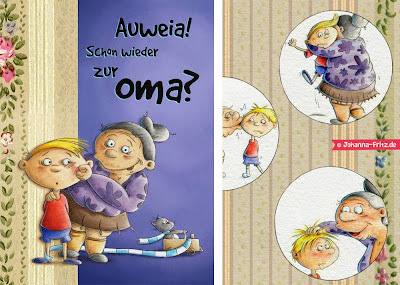 You also published a book titled “Schon wieder zu Oma” with Baumhaus Verlag a few years ago you authored and illustrated. Are there more books to come in the future? And what is it like for you to not only be the illustrator but also the author of a story compared to getting to illustrate a story written by someone else? Yes I did the writing for the book. But that was more of a coincidence. I illustrated a cover and 2 scenes. I didn't even have a story on my mind. I walked the Frankfurt book fair and met an editor from Baumhaus Verlag who asked me to think of a story, because he liked the illustrations. So this is what I did. But I have to admit I feel more comfortable in illustrating than writing. I am not a writer and I am not ambitious to become one. There are so many writers that are way better than I am. I always say "Everyone should do what they are best at and leave the rest to the others". Of course it was nice to illustrate my own story. But it actually didn't make such a huge difference to me. I have a text and then I illustrate it. It doesn't matter to me if I am the writer or someone else, as long as the story is good and we have a nice book as an outcome. Most of your work seems to be created digitally. What are the advantages for you to working digitally and do you also work traditionally at times? 99% of my work is digital. From the first rough sketches to the final illustration. As I said before: I was never really good in using Acrylic or other materials. And I always did a mess. Color everywhere. Nowadays I work with a Wacom Cintiq + Photoshop (or Illustrator) and since using it I am way faster. If the client wants me to change something, I don't have to mess around with my originals. I just choose the right layer in my file and change it. And if I want to get a look that is more hand drawn e.g. I can use textures or brushes with textures. And if it is well done, most people (well, illustrators not included) don't even see the difference. 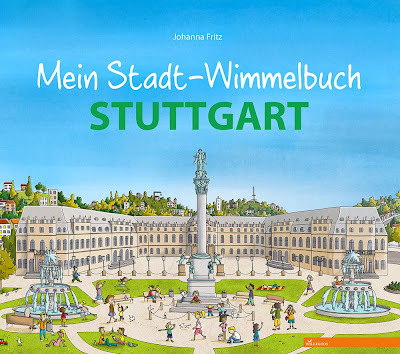 Your latest book is a so called “Wimmelbuch” published by Willegoos about the town you live in, Stuttgart. Can you share with us how you got commissioned with this beautiful book and what the challenge of doing a “Wimmelbuch” is? That was a really great project. I loved the subject to illustrate the town I live in and I never did a "Wimmelbuch" before. It was a lot of work. But that's what a Wimmelbuch is about. Lot's to discover in one single illustration and that means lot's to draw. As I said before it was my first Wimmelbuch at all and I wasn't aware of how much time (a lot!) I'd finally need to illustrate one. The first challenge was the research in the beginning. Like "which corner of the park would be the most interesting for the (young) readers?" And you have to think of many many little scenes that create one big image, so the reader can discover a lot on every spread. I am always intrigued by the work process of artists. 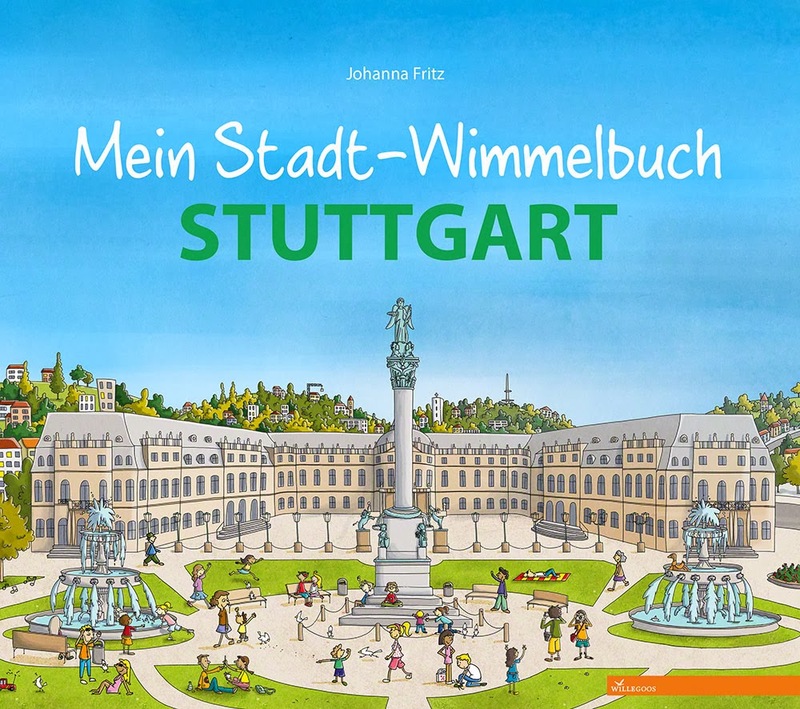 No one works alike so would you like to share with us how you went about creating the wonderful illustrations for “Stuttgart – Wimmelbuch”? The first step was to take tons of pictures of very single place. I took pictures of playgrounds, benches, architecture, even trash cans. Cause no trash can is like another and kids tend to discover those little things ;). Then I started with a really really rough sketch of every spread. To get the publishers feedback on if the angle of the scene is working for them. And after that? Guess what? Outline again :D I decided to do the book with the Paintbucket of Photoshop as the base. So I needed closed lines. I'm thinking of how to go from step 2 (the rough drawing) to this step without having to do another round of outlines, because then I would only have to draw the outline once. But it would be a different drawing routine, if you think about the composition or just trace the drawn lines. The the last step: color. As mentioned before I decided to go with the Paintbucket of Photoshop. Mainly for reason of rather little time for a project as huge as this, so I needed to color fast. This it what it looks like with the flat color. Then I add adjustment layers to create shades and lights. Finally I added some textures. For the sky and the trees I used a different brush to give it more depth. Other parts like the sand get an extra texture layer with a mask. And this is it. 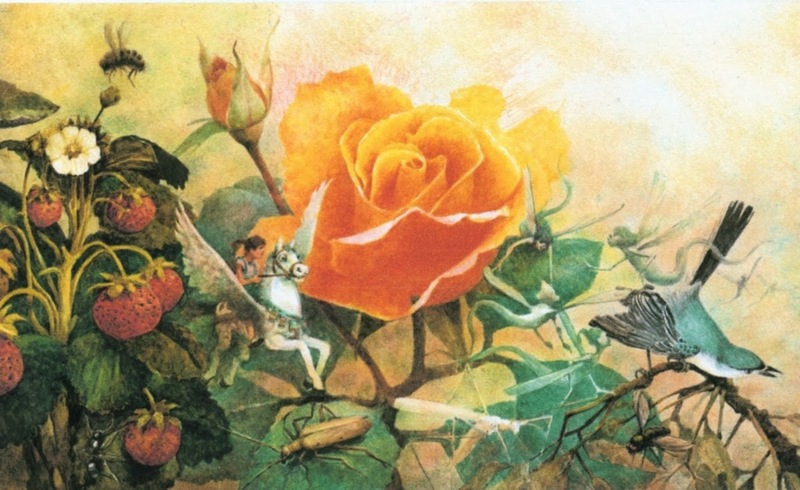 The final illustration. You must have done a lot of research for this book, did this change the way you see the town you live in and maybe also trigger finding new favourite spots? I visited every spot to take photos. Most of the time together with my daughter. Sometimes my husband joined us at the weekends. Like this we had some fun trips. I have actually never been on the TV tower before. Although I live here since five years. And I was lucky to do so as the visitors platform got closed just a little after. Do you have any “dream-projects” you would love to do in the future? And what are you working on right now (in case you can share ;-)!)? Let me think about dream projects. I'm not sure if there is such a thing. 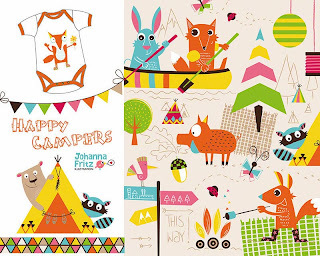 I just love to illustrate and the more of me is out there the better :) I'd really like to do more for the stationary market and pattern for kids fabrics. Right now I'm working on different projects. One is a spread for a magazine, others are illustrations for new pacifiers or a calendar. This is what I love about the job: illustration is needed everywhere. It never gets boring. I have some kind of routine since I have my daughter. She's visiting child care from 9am to 3pm now. So this gives me six hours to illustrate. And I'm not leaving my computer for a second unless I need some food or have to answer the phone. When my husband and girl leave the house, I make some coffee and go to my desk. Turn on the radio, have a short look at the social network and then start to work until 3pm. Just before I go to sleep I need to clear my head. I have a notebook on my nightstand and write everything down - like what to illustrate the next day/ what to do the whole week/ cross out things that I already finished or I do a little sketch. 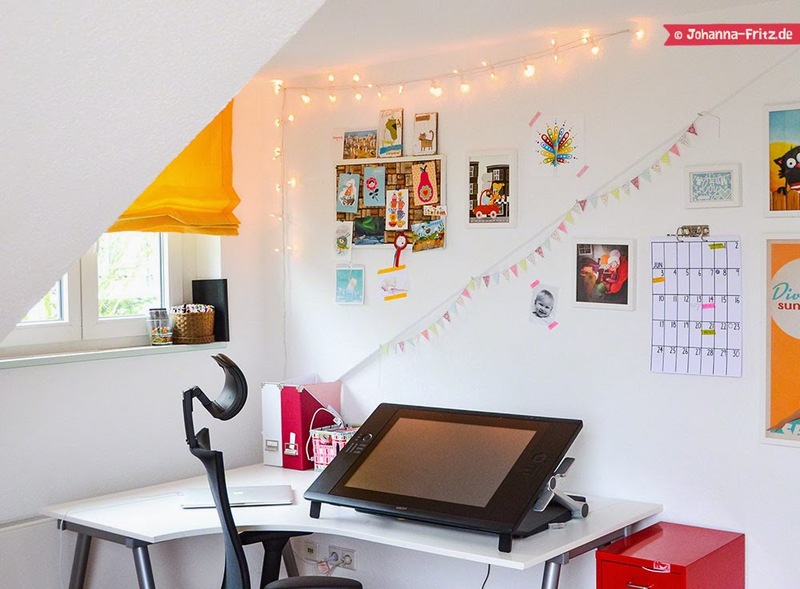 Connect to other illustrators, become friends with them. Do LOTS of social network. It gets you work. Walk fairs like the Frankfurt book fair or Bologna to get in contact with publishers. Only use your best work for your portfolio. There's no need to show more than 10-15 illustrations. One winner will be randomly chosen and announced on the 6th December 2013. Kate, could you tell us a little about yourself? How did you discover your passion for writing stories? I was one of those kids who liked doing lots of things. I loved books and music. I liked dancing and theater. As I got older I had to start making choices, more dance lessons or more voice lessons. I always felt as one does standing in front of the ice cream shop with 57 different flavors; how is it possible to decide. I was the strongest in singing and so that took up most of my time. Writing was always a “someday dream”. Finally, I wised–up and realized that someday was already here. I noticed that you write under a pseudonym, why did you choose a different name for your writing and how did you choose this name? It was for a couple of reasons. I was still busy with other types of projects that were unrelated to writing. It was a way to compartmentalize these different aspects of my life. 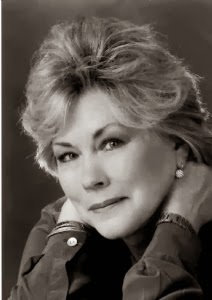 The other reason -- after a bit of research, I found there were other Kathryn Bishops in the writing world. I didn’t want to be confused with someone else. Kate was my nickname at university and Westerlund was my grandmother’s maiden name. It seemed like a good combination. You have published a number of books with a publishing house I very much admire for the books they do and the artists they work with. How did working with minedition come about and what makes it so special to work with them? I got lucky! I had a friend that was minedition author/translator. We were in the same critique group. Once when she was in a bind, I helped her out with a translation. I was curious to see if I could do it. I liked it. Later, she convinced Michael Neugebauer to give me a chance on a last-minute project. It worked out well and I started translating on a more regular basis. Once in a while I submitted a story myself. It took a while before one of my stories was accepted. In the meantime, I had the extraordinary good luck to learn a lot about stories, picture books, and publishing from Mr. Michael Neugebauer. I would never have had that chance in the US or anywhere else for that matter. 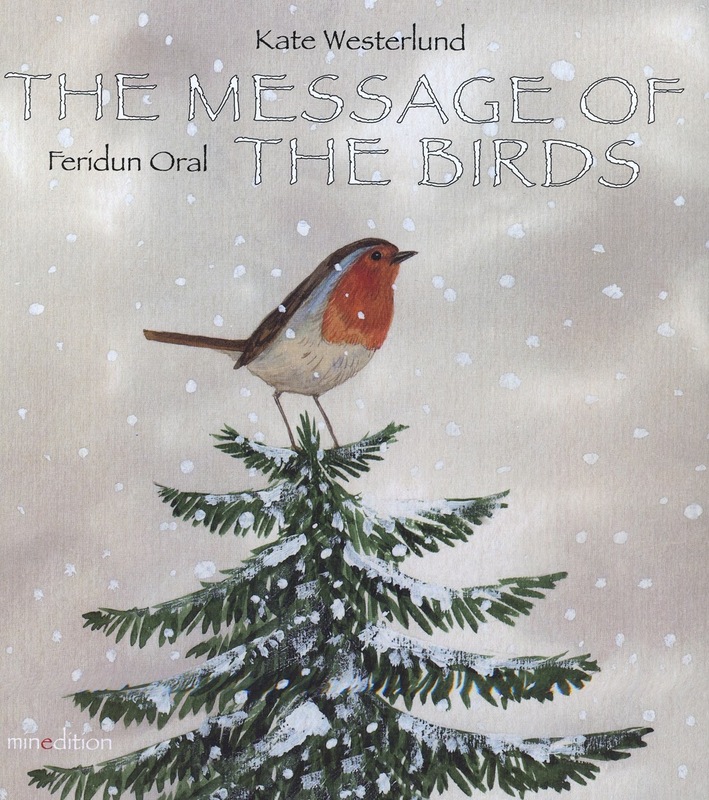 The Message of the Birds was published in 2011 in German, French and English. The English version was for the tough UK market. 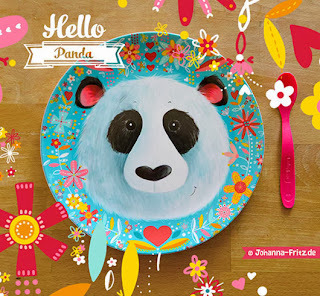 In 2012, it was published in Dutch, and this year with minedition’s new affiliation with IPG, it was released in the US. The markets are all decidedly different. As an American, I am excited that it is now readily available in the US (in both brick and mortar bookstores and online). It has been well received thus far. To be honest, I don’t do enough promotion, but I’m learning. 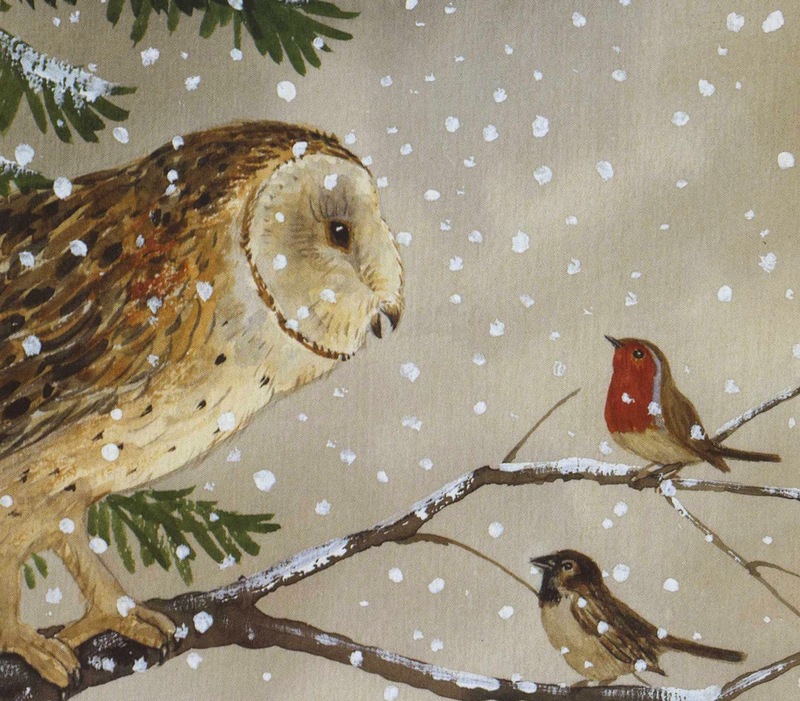 “The Message of the Birds” is a Christmas story, can you tell us a little about the story and what inspired you to write it? I have always enjoyed the story of the flea from Karl Heinrich Waggerl and the idea that things were actually happening in the stable. That started the thought process. I also wanted to add a universal message. Who is the illustrator of “The Message of the Birds” and did you have a say in choosing the artist or did you get to work together a little? Feridun Oral is a fabulous artist who lives in Turkey. We have never met, but I love not only his illustrations but his ceramic work and he loves drawing birds, great huh? 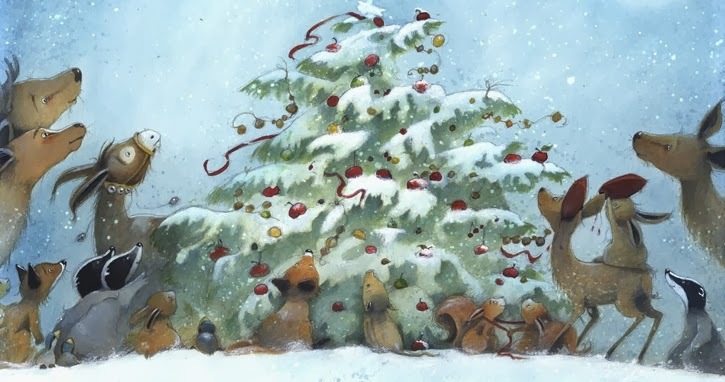 I saw that some of your other books were illustrated by the fantastic Eve Tharlet. How is it for you as a writer to see what an artist makes of your words and story? 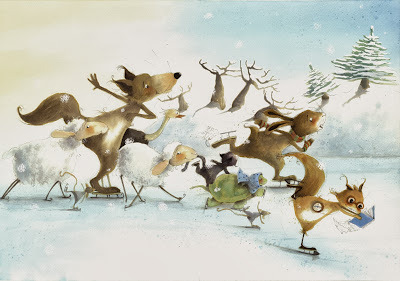 It is fascinating to watch how an illustrator brings the story to life. Someone with Eve’s expertise adds phenomenal depth to the story. It is also interesting to watch how her style changed for the various books, gentle and sweet in one and more playful in one of the others. The movement of the snowman in Mr. Snow, for example, was amazing. We had a chance to meet at the Bologna Book Fair a number of years ago and that makes it more fun. She is truly remarkable! 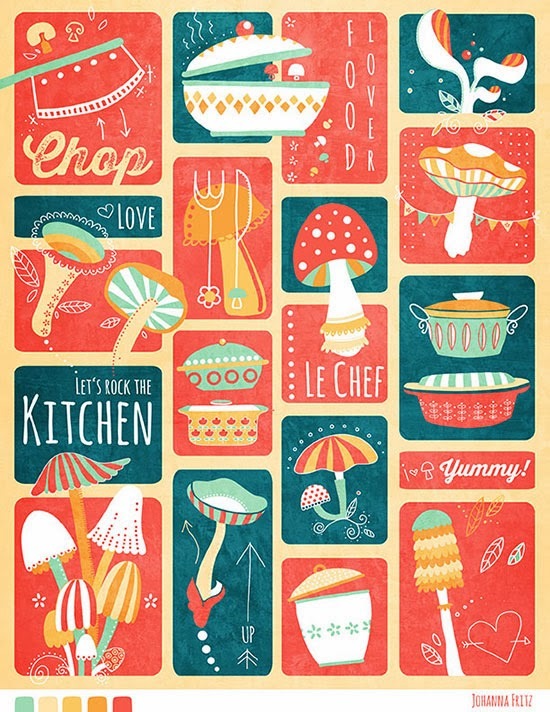 Do you have an illustrator you would love to work with in the future? 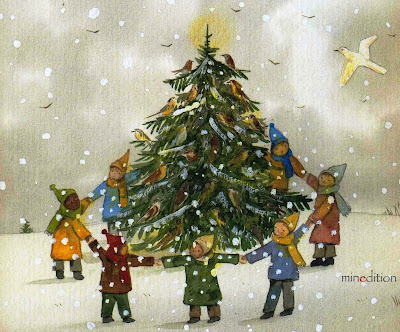 As long as the book is from minedition I know the illustrations will be exceptional. Michael Neugebauer has a background as a graphic artist. 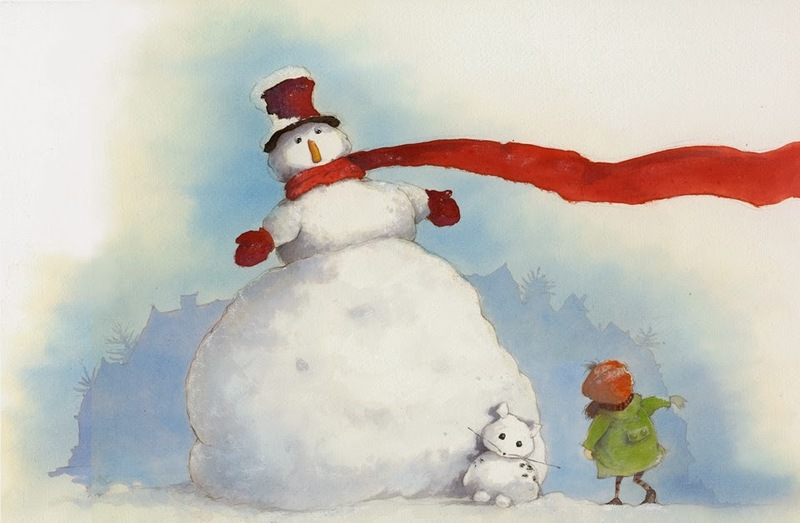 He has a talent for creating beautiful books and combining the right artist with the story. There are so many wonderful artists whose work I admire. Jonas Lauströer and of course, Lizbeth Zwerger, though she doesn’t usually work with other authors. I am also fascinated by Rima Staines’ work; I love her clocks. While working on “The Message of the Birds” was there anything that was specifically a challenge or how do you approach your writing? I always write long. I usually have to cut everything by about half—that is a challenge. But it has become part of my process –tightening, better word choice. Sometimes I have worked diligently to find just the right melody of the words and then find that the UK editor needed to make adjustments. I guess that is the nature of the beast. Can you share with us your writing routine and what you do to overcome writer’s blocks or where you turn to for inspiration? As I was trained as a singer, I developed “a bit” of discipline that way. The best thing for me to do is plant myself in front of my computer every day and write, just like planting myself at the piano to practice. The more consistent I am, the more creative I feel. I also think setting a daily or weekly word count/goal is helpful. I hurt my back this summer and was uncomfortable at the computer, but I had a stack of index cards by my bed. I filled them with thoughts, ideas, titles, first lines whatever came to mind and I have been busy lately transferring them to the computer lists. If I feel blocked, I review my lists. Then I keep writing no matter how appalling the result. As to inspiration---I have a shelf full of classic writing books, Stephen King, Anne Lamott, and Sol Stein, they are tremendously inspiring. This month is PIBoIdMo. Do you ever participate in things like that to get inspired or create momentum? I am doing a NANOWRIMO at the moment, not because I am anywhere near ready to write the novel I want, but it is a way to get all these scenes out of my head and onto paper. I need some kind of draft to work on later. If I wait, I’ll lose something. Ideas are so ephemeral, so fleeting, and they fly away never to return. When you have been working creatively for a while, sometimes your first works and publications are not as you would do them today. In what respect has your writing and storytelling evolved over the last years and what is it that an experienced writer as you still has to struggle with and wants to improve? But that’s what growing, and evolving is all about. I’m a late bloomer. I’ll probably always think of myself as a writer “in-training”. Sometimes when I get stuck, I realize it is because I never learned how to do that particular thing. So I dig around searching for answers. I think that is “technique” and technique can be learned and developed. What are your plans and projects for the near future? When you have a new project, how do you go about finding the right publisher? There are so many new possibilities. I don’t know if this makes it easier. I just got an email from a submission service. That is something I might investigate for the future. Networking is also beneficial, conferences, workshops and book fairs. The sad thing is even if you do EVERYTHING right; it has a lot to do with luck. So when lady luck knocks on your door, you’d better be ready. Edit/rewrite one more time. Good enough is never enough! 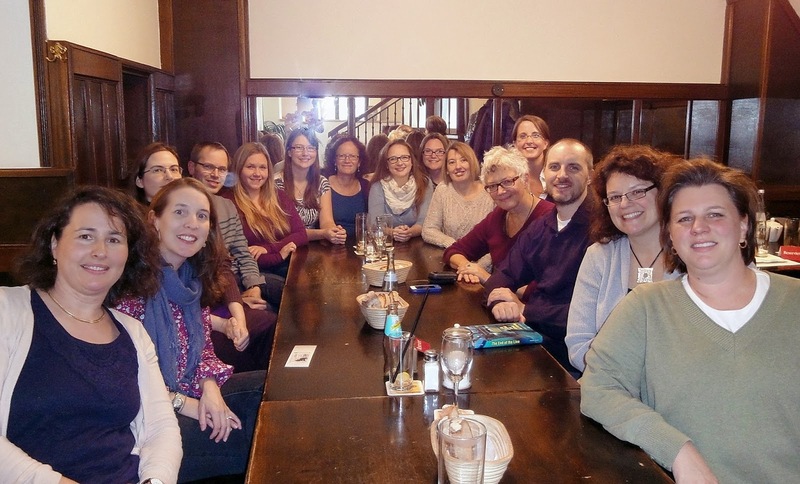 Thanks so much, Kate, for sharing all this wonderful information and insights with us! We cannot wait to see what other books you will be publishing soon! One winner will be randomly chosen and announced on the 25th November 2013.